What Can I Get From Hiring a Handyman? Home / What Can I Get From Hiring a Handyman? If your weekends are filled with home projects that you need to get done, frequent trips to the hardware store and watching videos on YouTube about on how to do these home projects, you have a problem. It is time to take your weekend back and spend it instead with your family. The answer to this weekend dilemma is hiring a handyman. There are many reasons why hiring a handyman makes sense than giving yourself a hard time completing the to-do list. Here are the reasons why. Rather than having to learn how to fix something and do a quick run to the hardware store, a handyman has the complete tools, materials and of course the technical know-how to get the job done efficiently. It also helps to have a handyman who lives locally. 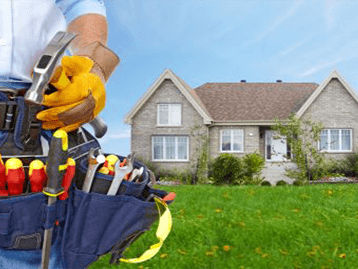 In Sydney, Skill Pro Handyman has a team of experts that can provide the most affordable and reliable solution. Figuring out how to fix something is stressful not to mention very tiring. If you call for a handyman, you can just sit back and relax on your weekend knowing full well that they will take care of the job with their expertise. As an bonus, your kids will not hear any words that they should never hear. This usually happens when you are doing the repair on the first attempt. Hiring a handyman will save you money because the probability of spending double on a home improvement when you attempt to do them yourself. With a handyman you only pay once to get the job done right. What’s more they also offer warranty on their work, giving you assurance that the job will be completed. Skill Pro Handyman in Sydney gives free estimates, so you can study your options before giving a go on a project. You can also get discounted rates on supplies because they have established a connection with suppliers and wholesalers too. What more can you ask for? 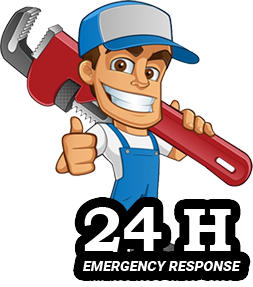 With your trusted handyman like Skill Pro Handyman in Sydney, all you need is one contact number for all your repair and installation needs. This simplifies the process because you don’t need to get a contractor for each of the job to be done. This is another cost savings for you too. In addition, they can do multitasking and finish all the tasks on the list in a shorter amount of time. What can Skill Pro Handyman can do for you? Use the services of Skill Pro Handyman Sydney for small jobs. Our crew is skilled and highly qualified to render the most reliable residential and commercial building repair and maintenance and even small renovations. If there is a job that you needed done but is not mentioned above, give us a call. We will be happy to discuss it with you. Don’t let your growing to-do list ruin your weekend, call Skill Pro Handyman in Sydney now and hire an expert handyman today.